The Kingdom, on Monday, was affected again by a new heatwave that pushed temperatures 5-6 degrees above seasonal average and bring hot conditions in Amman, the hilly areas and the Badia regions, while it will be very hot in Dead Sea, the Jordan Valley and Aqaba. 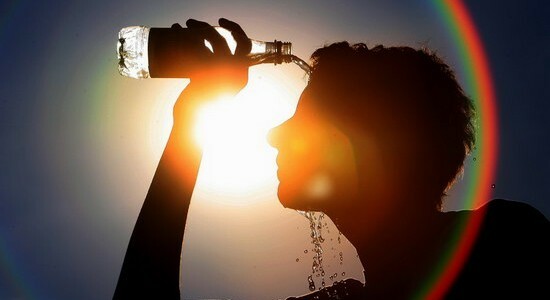 According to the Jordan Meteorological Department (JMD), daytime temperatures expected for today in Amman, the southern and northern areas will hover around 35 degrees Celsius, while in the Gulf of Aqaba they will jump to 44. At night, mercury levels will cool down reaching 23 degrees in the capital and dropping to 31 in Aqaba. The impact of the heatwave is forecast to continue over the next two days, with northwesterly moderate to brisk winds picking up at times, the JMD added.